Nowadays the cyber security is essential for individuals, companies, economies, governments and nations as a whole. The reality is that all of them are trying to stay on track against the latest cyberattacks, but there are some countries committing most to cybersecurity. One of the best ways to determine where most of the cyber attack really come from in real time is by using the map created by Norse. Another great alternative if you want to find out which are the countries best prepared against cyberattacks is to use the Global Cybersecurity Index (GCI) created by the International Telecommunication Union (ITU). As described by them it is “…a survey that measures the commitment of Member States to cybersecurity in order to raise awareness.” The GCI covers the five pillars of the ITU Global Cybersecurity Agenda (GCA): legal, technical, organizational, capacity building and cooperation. However, we from CyberDB think that they might have missed some countries that are also very well prepared against cyber attacks. Therefore, we have decided to create our own list so you can find all of the top 10 cyber security countries in one place. Without any further delay and in no particular order here is our cyber security country rankings! 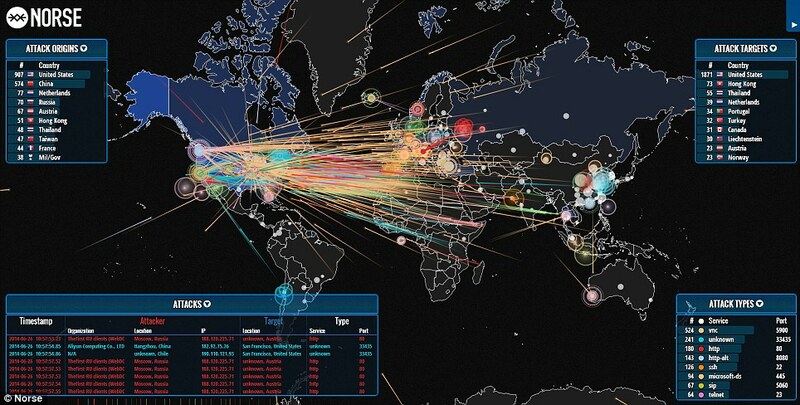 The United States of America is one of the countries that is experiencing a huge amount of cyber attacks each year. That’s why around 58% of the cyber security companies are located there and try to find new ways to fight with the latest attacks. USA cybersecurity companies database on CyberDB. Israel is the country that takes the second-largest number of cybersecurity deals and this number is growing as many new cybersecurity startup companies appear and get funding. For more info you can check out this episode of VICE – How Israel Rules The World Of Cyber Security? Israel cybersecurity companies database on CyberDB. Although they are very often accused of cyber espionage and attacks by their political opponents, it isn’t hard to tell that they also know how to protect themselves against the same threats. The federal government of Canada is expected to spend up to $1 billion on cybersecurity – an undeniable proof that they are on the right track against cyber crimes. Canada cybersecurity companies database on CyberDB. The UK government is also taking measures to prevent upcoming cyber threats by introducing a cybersecurity standard. UK cybersecurity companies database on CyberDB. Similarly to Singapore, Malaysia is also very well prepared in terms of cybersecurity. It has been ranked third in the Global Cybersecurity Index 2017. In 2017 China have adopted a new Cyber Security Law and it’ main purpose was to increase the cybersecurity and the national security. However, it has attracted heated discussions among foreign business people there. China cybersecurity companies database on CyberDB. France also doesn’t make an exception and wants to to build an effective cyber security strategy by establishing partnerships with UK, China, Russia and USA. France cybersecurity companies database on CyberDB. Sweden has the lowest rate of malware infections in the world (only 19.88%) and is taking precautions to boost their security strategy and fight cyber terrorism threats. Estonia is well known with their e-governance services and has learned from their past experiences in 2007 how to deal with cyber wars.